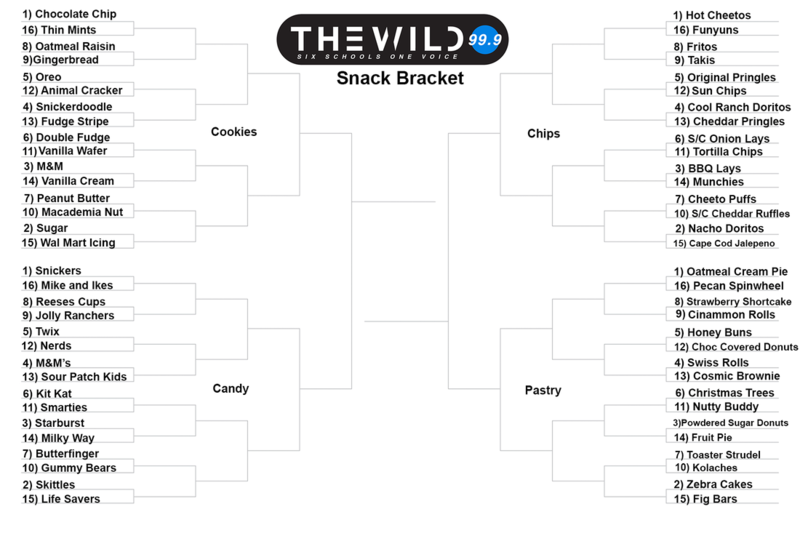 999theWild's staff created a March Madness style bracket of the greatest snacks of all time. Our bracket is broken down into 4 regions: Cookies, Chips, Pastries and Candy. Did we miss your favorite snack? Who would make your Final 4? Who is your snack "Cinderella? "Who is the ultimate champion? Clemson: In their 4th straight College Football Playoff, Dabo Swinney’s squad will face their first “real” test in Notre Dame. After QB Kelly Bryant announced his intention to transfer in week 4, all the pressure was on true freshman Trevor Lawrence take Clemson’s offense to the next level. Lawrence did not disappoint while completing 64% of his passes for 2,606 yards plus 24 tossing 24 touchdowns to only 4 interceptions. On the other side of the ball, Clemson boast the best defensive line in the country with 4 future high draft picks Clelin Ferrell, Austin Bryant, Dexter Lawrence, and Christian Wilkins. Clemson's front four has accounted for 176 tackles, 48.5 tackles for loss, 23 sacks on a defense ranked No. 3 against the run (93.0 yards allowed per game), No. 4 in total defense (276.8 ypg), No. 2 in scoring defense and No. 3 in sacks. Notre Dame: The Irish started the year a bit up and down with a big win over Michigan but barley edging out the likes of Ball St and Vanderbilt. After Ian Book took over the the quarterback spot, the Irish have become one of the more consistent teams in the country. Wins over Northwestern, Syracuse, and USC cemented their spot in the playoffs. The Notre Dame offenses strength is on the ground with Dexter Williams averaging 190 yards per game. Offensive Coordinator Chip Long must come up with some creative run schemes to move the ball on the stacked Clemson defensive line. But in my opinion, it’s the defense that makes this Notre Dame team different than in years past. They are a gritty group that bends but doesn’t break holding teams to 17ppg. Alabama: The Crimson Tide roll into another playoff after a dramatic comeback victory over Georgia in the SEC championship. Although the Bama victory was great, it showed that Alabama is beatable. Alabama came out flat against Georgia and if it wasn’t for some questionable coaching decisions on behalf of Kirby Smart or Jalen Hurts coming into the game, Bama probably would have lost. I’m not taking anything away from the SEC champs, but stating that they are not invincible. Alabama is still the best team in the country, but this year it’s the offense that has been explosive led by Tua Tagovailoa and many weapons like Damien Harris, Jerry Jeudy, and freshman phenom Jaylen Waddle. The defense is still among the best in the country with LB Dylan Moses patrolling the middle of the field leading the team in tackles, and DT Quinnen Williams has the most sacks in the SEC. Oklahoma: After seeing OU play in person twice this year I came away with 2 things: 1) This is the best offense in college football history. Kyler Murray, Hollywood Brown, CeeDee Lamb, Trey Sermon, and the best offensive line in the NCAA. They have great speed, power, and play calling. 2) The defense, specifically the secondary, is horrible, but has been clutch. The Sooners defense has forced turnovers one scored points in their biggest 2 games of the year against WV and Texas. Without those clutch plays the Sooners likely lose those games and don’t make the playoffs. Say what you want about the OU defense, but they have made some clutch plays down the stretch. Ohio State: It’s been a emotional season for the Buckeyes, early season drama and a rough night in West Lafayette eventually led the Buckeyes to a Big 10 title and a trip to Pasadena. Ohio State has completely flipped the switch after nearly being upset by Maryland, with Urban Meyer coaching his last game(for now), I think we will see another inspired performance in the Rose Bowl. Heisman Finalist Dwayne Haskins has taken the Buckeye offense to the next level while passing Drew Brees’ 1998 single-season Big Ten passing TD record of 39 passing scores. Washington: A bit of a down start to the year as Washington had playoff expectations and fell to Auburn, Oregon, and Cal. But similar to Ohio State, Washington beat their rival and won their conference championship game. The Huskies defense has only given up 18 points in the last 2 games including holding Washington State 25 points under their season average. After a month off, a healthy Washington team has the pieces to complete in this game returning preseason starting left tackle Trey Adams. Michigan: Another year, another disappointing showing against rival Ohio State. Jim Harbaugh has struggled in big games in his time at Michigan. To go along with losing 4 straight to Ohio State during the Harbaugh era, Michigan lost the 2016 Orange Bowl to Florida State and lost the season opener to Notre Dame this season. Michigan will finally win a big game if they get solid quarterback play from Shea Patterson and play the defense they are capable of. Without Star LB Devin Bush who was a Butkus Award Finalist, Michigan will have to replace the heart and sole of their top 5 defense. Florida: Dan Mullen’s first year back with Florida was a success. Wins over LSU and Mississippi State highlighted a 9-3 season and a New Year's Six Bowl game. The Gators offense has improved along with quarterback Feleipe Franks who has thrown 23 touchdowns and 2284 yards. The Florida defense is fast to the ball only giving up 20 ppg. Florida is back to being a top ten program, but is still a few years away from potentially challenging the likes of Georgia or Alabama. UCF: With the nation's longest winning streak at 25, the Knights will look to knock off traditional SEC powerhouse LSU. This will be a difficult task without star quarterback Mckenzie Milton, who suffered a leg injury against South Florida. Backup quarterback Darriel Mack and running back Greg McCrae led UCF to a 56-41 victory against Memphis to claim back to back AAC championships. The struggle for the Knights is the defense, fortunately for UCF, LSU does not have the explosive offensive attack that’s put up lots on points on UCF. LSU: After a emotional, crazy loss to Texas A&M to end the regular season, motivation is a bit of a question mark heading into the game. People saw Auburn get upset in last year’s fiesta bowl after a getting beat down by Georgia in the SEC championship. Star defensive back Greedy Williams has decided to start his NFL draft preparation early leaving the Tigers defense with their hands full against a fast uptempo UCF offense. On the offensive side, LSU needs to be themselves. Running the football and eating up clock is the best thing the Tigers can do in order to game. The best way to stop the Oklahoma’s and UCF’s of this world is to keep their offenses off the field. Georgia: If we are being honest, Georgia is a top 4 team. Elite running backs Elijah Holyfield and DeAndre Swift lead a potent rushing attack and Jake Fromm has done a good job taking care of the ball. D’Andre Baker and Richard Lecounte III will need to lead the Georgia’s secondary against the the tall Texas receivers. Georgia’s front 7 needs to make Ehlinger uncomfortable and keep him in the pocket. Texas: Tom Herman has gotten the Longhorns into a NY6 bowl for the first time. Losing to Oklahoma in the Big 12 title was disappointing, but overall, the improvement of the Longhorns has been impressive. Quarterback Sam Ehlinger has tied Vince Young's record of 38 total touchdowns. Lil’Jordan Humphrey leads the nation in 3rd down receiving, while also accounting for 11 touchdowns. Freshman All-American Caden Sterns and the Texas defense that has struggled at times, but when healthy they have been solid. Yes, I do understand that you most likely have absolutely zero interest in this story, but I think it’s a good one. Maybe I only think that because it’s one of mine, but I am going to tell it you anyways. This is how I got into radio broadcasting. It all started in my junior year of highschool, I picked up my schedule from my school. I skimmed over all of my classes, and on B day mornings I will now have to attend audio at Ben Barber. I did not want this class at all and was actually kinda irritated because I never signed up to be the the class in the first place, I talked to my counselor to see if I could leave the class, but I was not able to until a few weeks after school started since it was not an emergency. I am not going to lie to you I was upset, the only thing I knew walking into this class was it was about the radio, which at the time had no importance to me. Now let's jump to my first week in the class, I walked in on the first day to see a room full of guys, I scanned the room and only count five other girls. Since I am known for my really bad first impressions I decided to keep to myself for a little bit. We did the normal first day stuff, introduced ourselves and talked about what we are going to learn this semester. Still at this point it was just another class to me. We started to learn what things were called and what we use them for, but after a week or so passed I started to talk to more people in the class and the information we were learning was now expected to put it into practice. We started creating PSAs, commercials, sweepers, intros, and I found myself actually really enjoying it. We made everything from scratch, it was like baking. We had our ingredients which was the scripts, the process of mixing them all together which was recording. Then you put it in the oven which was editing. And you are done, you now have an audio pie. All jokes aside, I now was able to change my schedule if I wanted to, so I had to make that decision. I would make this part questionable, like she is going to stay in the class and become the next big thing? Is she going to say no and thanked God for the best decision of her life? Well since I am writing this you can concluded that I did in fact decide to stay in the class. Let's fast forward to present time. It has now been about a year since I have been in the class. I hosted a show called The Wave, was co-host for a show called The Fetch, stressed about finishing some edit, laughed about 1000 times on air straight into the mic, was proud about something I created, cringed at most, asked about 2 billion question, and in the mix of all that I decided this is what I am going to do as a career. The District Track meet for 5A track teams were last week on Wednesday and Friday. This year has been specifically exciting due to the fact that this is the year for all of my friends to shine, because most of them are seniors. Being able to witness the growth from freshman year to senior year is crazy. For Varsity girls, Elizabeth Adeoye qualified for the 100 Hurdles and is the district champion in 300 Hurdles. Lindsey Claude qualified for the 800 and 1600 Meters and this will be second trip to Area. Bryanna Houser and Tamia Smith qualified for both the Discus and Shot Put. Jordan Kinsel and Camryn Aldrdge will travel to Area for Pole Vault. For Varsity boys, Will Jones and Quenten Jones are going to Area in the 200 Meter dash. Will Jones also qualified for the triple Jump. Jake Hanes will move on to Area in Discus. Charles Ayena made it Area in Long Jump and Matt Anderson is the strict champion in the 1600 Meters. I am super proud of Summit High School's Track team. I can't wait to see our Area qualifiers make it to Regionals and hopefully State. Unfortunately, this year, the regional track meet is the same day as prom. But, it gives Summit's class of 2018 even more incentive to go big or go home! ​Bryanna Houser, an eighteen-year-old senior at Summit High School, committed to Ottowa University on March 19, 2018. She has been a part of the Varsity Track & Field and Power Lifting teams since her junior year. At the height of 5'5, she has lifted 950 pounds, 50 pounds away from State. In Shot Put, she has thrown 34 feet and 1/2 inches. Ms. Bryanna recently visited her new home in Kansas and described the campus as beautiful and homely. She revealed that there are no more than 1,000 students enrolled on campus and 80% of them are student-athletes. She is extremely excited to be able to pursue her athletic and academic career on a full ride scholarship. She will pursue a degree in psychology major and minor in business. Her dream job is to be an electrical engineer. One day she'd like to open up her own studio and edit music all day. After her graduation date, May 26, 2018, her new journey begins to get one step closer to following her dreams. The Wild wishes Ms. Bryanna well and I know she has a bright future ahead of her. Barkley is clearly the best player in the draft and all you have to do is watch the tape on him and you'll see. The Browns need a dynamic player to build a franchise around and Barkley fits that description well. The Browns offense uses multiple running backs in their running game, that's why they signed a veteran running back like Carlos Hyde to pair with a potential star in Saquon. Bradley Chubb is the most feared defensive player in the draft drawing comparisons to the star pass rusher Mario Williams. Chubb is a powerful pass rusher. He uses his hands very well and is excellent at countering punches. He embarrasses lineman by running them back into their own quarterback. His high motor is what the scouts and GMs will love even more about him. The fact that the Giants just traded JPP, their best pass rusher, basically telling everyone they are picking him. Sam Darnold has the potential to become something in the league. He is said to be the best QB prospect in this year's draft and the Jets have been looking for someone to take over as the Jets continue to build around a young player like Darnold. 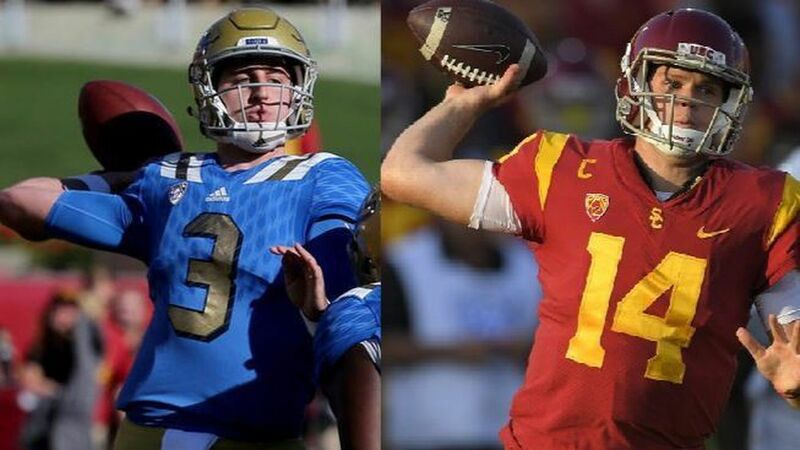 Rosen is the most pro-ready Qb in the draft and the Browns have been searching for a Qb since the team moved back to Cleveland and Rosen being the best and most ready Qb in the draft Is the right pick and having him grow with Barkley would be amazing. The Bills are viciously trying to trade into the top 2-5 picks to get in front of teams like Miami and the Jets for a Qb like Josh Allen or Josh Rosen. The Bills now how 2 first round picks and it looks like they are talking to New York and about a trade for the 2 pick. The Giants would get at least the 2 first round picks and likely another 2nd rounder and possibly even another 1st round pick making 3 1st rounders for the 2 overall pick. The Wild went to Hollenstein and returned as District Champions. 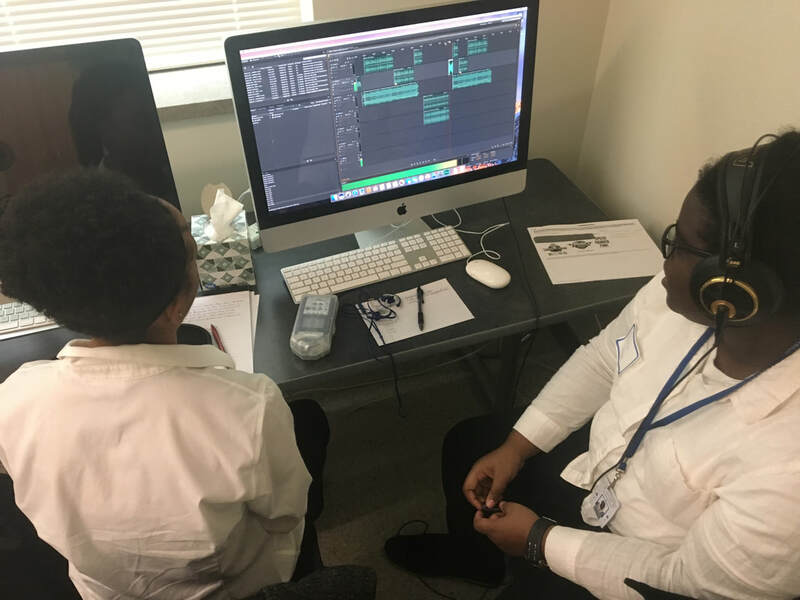 Praticum/Sports Broadcasting students survived WAV files, a broken recorder, a frozen computer AND a 2-hour lockdown to emerge victorious, taking the top 5 spots in the Audio/Radio production competition. ​The Wild was recognized at the Skills USA District Awards banquet in Waco this past weekend. 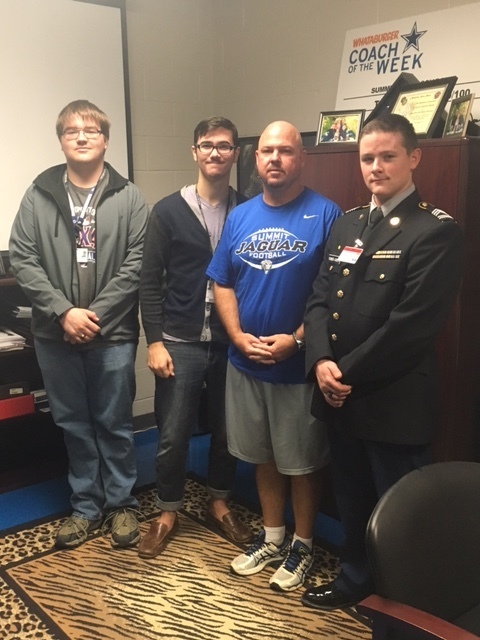 This is the 2nd time in 3 years that Ben Barber students have taken the top 2 spots in district and the 5th straight year a BBIA team has earned a spot in the state competition. Competitors created a newscast about a severe storm system that affected the Eagle Mountain-Saginaw area. 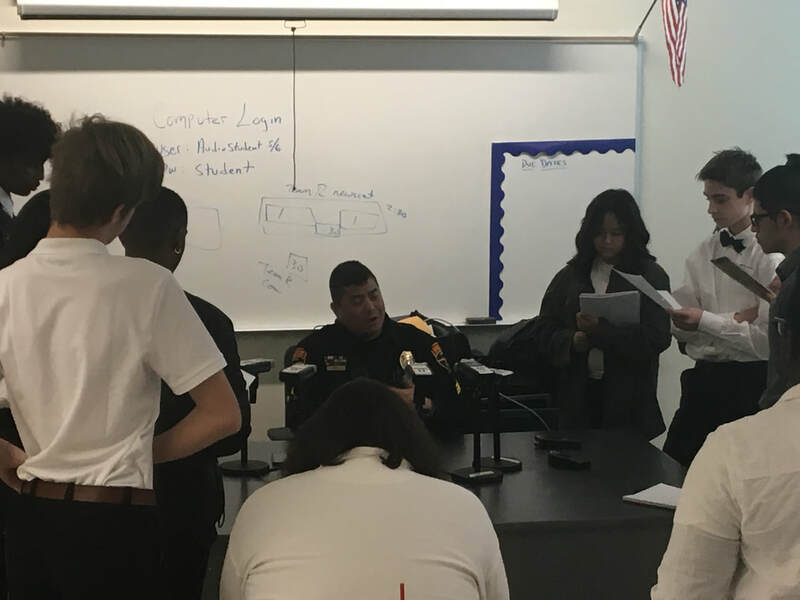 The students interviewed Seargeant Ing during a press conference about the damage, affected residents and overall recovery efforts by first responders. Team C - Nathan and Steven took home first place and will be heading to State in April to compete for a chance at Nationals. This is the first time for both of them to compete in Skills. Team A - Kailyn and Bryanna earned a close 2nd and will also be going to Corpus Christi to represent The Wild in the State competition. Bry, a 2nd year competitor did not place last year, but used her experience from 2017 to help her and Kailyn advance. 3rd place went to Team B - Zaki and Felicity, 4th place to Team E - Michael and Jonathan and 5th to Team D - Jaden and Rakeria. Check back after Spring Break for an update on our trip to State. ​Don't forget to follow us on twitter @999thewild. ​The start of the year brings lots of new dreams dreams of losing weight and being thinner, dreams of getting further in life, and for a select few student athletes the road to the Texas State Track and Field Meet officially begins. The 2018 track season has already brought many challenges and successes for the students involved. With inclement weather making its way through North Texas many meets had to be rescheduled or cancelled all together cause different mental blocks for some of the teams. Even with the bad weather, some big name schools such as DeSoto, Lake Ridge, and Duncanville were still able to come out with the wins for their boys and girls teams respectively. With much of the season still ahead of us, there is plenty of time for each athlete to get better and compete for their chance at the state title. College is a place for education not necessarily sports. College athletes should not be paid because they would stop focusing on education and put all their time into sports. Sure, sports are fun and all but education is more important. Education helps people in the long run while sports in college won’t get you anything. If athletes start being paid in college their grades will slip and they won’t care about getting a good education. We are already seeing now, the no pass no play rule was created because too many athletes were too focused on playing rather than passing. Honestly, most people in college won’t go professional because they just aren’t good enough. So why should the college pay the athletes for something that wouldn’t help the athletes in any way. Most athletes who play for college are getting a lot of benefits. According to Odyssey, if college athletes were to be paid then there wouldn’t be enough money to pay for other extracurricular activities. Also, other students would want to start being paid for being a violinist or in theater. However, some may say that college athletes should be paid because if an athlete is sponsoring a certain item then they should be paid for their sponsorship. According to espn, college athletes should be paid because they are the ones that are bringing in the money to the NCAA. The NCAA has about 11 billion dollars coming in and not giving any of that to the athletes. Though, college athletes are still getting benefits. Not necessarily money but benefits such as 3 meals a day, payed for room and board, meal plan, team dinners, books paid for, housing off campus was paid for, and groceries were paid for. So the argument that college athletes aren’t getting anything in return is a false statement. In addition, college athletes can’t be paid because the college couldn’t afford to pay them. If athletes are so mad that they aren’t getting paid then why are they playing? In conclusion, college athletes shouldn’t be paid because they will take their focus off of school, become too focused on sports, and will end up being uneducated. Closing out the year, we’re approaching the point of where some of us realize that we completely disregarded our resolutions, or where others reflect on how well they’ve grown, and the many things they’ve accomplished. Today, heres a list of seven, young empowering women who’ve used their influence to encourage others, and actively make a stand on today’s society. Each one of these girls made the absolute most of their year, in 7 unique ways. 2017 was none short of a defining year for Blackish star Yara Shahidi, better known as Zoey Johnson on the ABC sitcom. Shahidi took this year to expand her public image beyond teen actress, becoming a young women’s activist, and a voice for for young women across the country. This year, Yara partnered with essence magazine on many accounts, as well as the #likeagirl campaign with Always. Recently, Shahidi announced she would be attending Harvard next year, and will soon have her own spinoff, Grownish, with Francia Raisa and Trevor Jackson inspired by A Different World. Rowan Blanchard, a friend of Yara’s also had quite the year, speaking out on similar topics, along with self acceptance and identification. She plays Jackie- who occasionally pops up on The Goldbergs, and starred as Riley Matthews on the hit Disney series Girl Meets World. The 15 year old caught the attention of others for her maturity, and intelligence beyond her years after writing an essay on self deprecation, and later being featured in Teen Vogue with Yara. Baby Ariel, on the other hand, went an entirely different path this year, while she still used her platform to make change. The muser turned youtuber soon acquired the life of a full fledged celebrity, signing on to a talent agency, eventually headlining Digitour Winter alongside others who share her craft. Being named a top 2017 Digital entertainer by Forbes, and a two time Teen Choice Muser, it’s fair to say that Ariel has developed quite the audience, which is why started the #ArielMovement, her very own anti-bullying campaign. Aside from her widespread social media presence, Ariel recently released her debut single, “Aww”, with Atlantic Records. Being a Dance Moms legend, it wasn’t easy watching her part ways with the show. Though, turns out she had even bigger plans all along, soon becoming a lead dancer for Sia. Eventually, everyone knew Maddie Ziegler’s name, becoming the youngest judge ever to appear on the So You Think You Can Dance: Next Generation panel, and winning Sia a grammy, and Aria Music Award for the Chandelier music video. She’s written her own book, The Maddie Diaries, and co owns a clothing line with her younger sister through Mod Angel- The Maddie and Mackenzie Collection. Nonetheless, Ziegler rocked 2017 pushing her new Youtube hobby, along with her many other endeavors. From Suffern, New York, Grace Vanderwaal was none short of an overnight sensation after earning herself a golden ticket in her America’s Got Talent audition, eventually winning the eleventh season. A year later, the 13 year old has landed herself a spot in Billboard’s 21 under 21, and has performed a number of high class events, one being the 2017 Special Olympics World Winter Games. Vanderwaal has taken the fast track to her lifelong dream by signing to Columbia records, and spending most of her year developing her debut album. Better known as Zuri Ross from the Disney sitcom Jessie, Skai Jackson has developed quite the voice, turning herself into something along the lines of a social media activist. On many accounts, Jackson has spoken against issues like cyberbullying and racial typecasting, defending herself and others, such as Zayn Malik. Eventually, teaming up with dosomething.org, expressing herself through speech, along with fashion became her thing, being recognized by A-listers for her class and sense of style. Soon enough, the 15 year old notably made an appearance at New York Fashion Week, and launched a clothing line of her own. Lastly, but certainly not least, there’s Noah Cyrus, whose family has been in the limelight for quite sometime and is now beginning a music career of her own. After making guest appearances on her sister’s show, Hannah Montana, and voicing the main character of Ponyo, Noah released her debut single “Make Me” late last year, followed by “Stay Together” in May, and Again ft. XXCtentacion in September… kicking off her long anticipated music career, or in her case- the family business. The 17 year old spent her year piecing together her debut album NC-17, all while holding true to her personal values as an animal rights activist- something she’s identified as since she was 13. 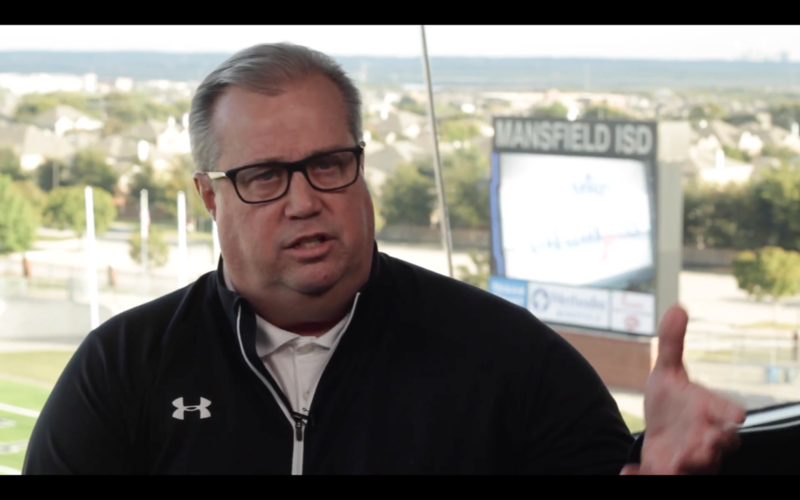 ​Mansfield ISD football is making history. Four out of the five teams made it to playoffs. Legacy, Lake Ridge, Summit, and Mansfield High School are representing our district well. On December 1st, the third round of playoffs began for Mansfield, Summit, and Lake Ridge. Unfortunately, Mansfield and Summit lost their games. Lake Ridge won after being behind in the first half. Legacy played the next day and also came out with a victory. This leaves two schools left in the running for state. I am proud of all of our high schools making it as far as they have. Lake Ridge and Legacy play at AT&T Stadium on Friday and Saturday. I wish them the best of luck! ​The Grammys are coming up, and the nominees have been announced. JAY-Z leads the pack with eight nominations this year, including nods album of the year, a record of the year, the song of the year and best rap album. Kendrick Lamar follows with seven nominations, while Bruno Mars is the third most-nominated artist with six. SZA is 2018's most Grammy-nominated woman with five nominations; Khalid, Childish Gambino, and producer No I.D. also scored five nominations.The Grammys will air live on CBS from Madison Square Garden in New York City on Sunday, Jan. 28. 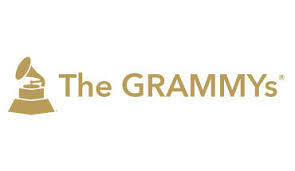 The final round of Grammy voting runs from Dec. 7-21. 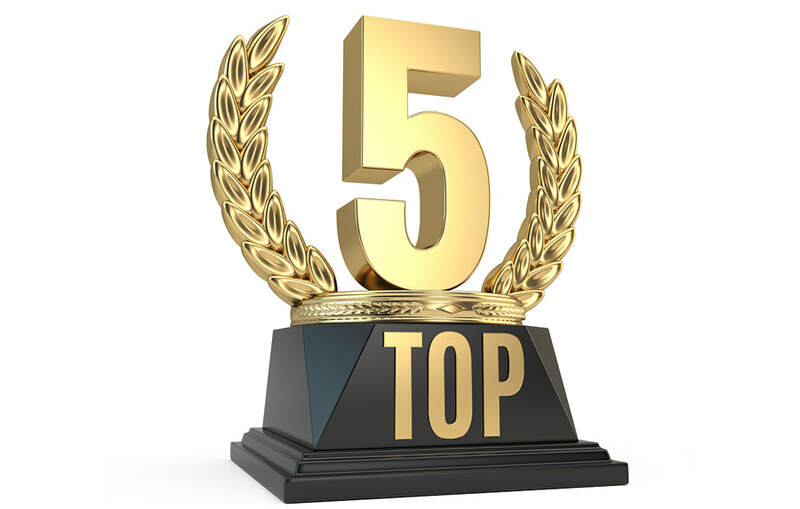 ​My top five fast food places are Wingstop, Chick-fil-a, Buffalo Wild Wings, Trio’s, and Jersey Mikes. Due to the fact that it's a huge wing and fries fan, the wing spots in Mansfield are at the top of my list. Wingstop is my first choice, because of their notorious fries and A1 wings. My second choice would be Buffalo Wild Wings because they don’t only offer bomb wings and fries, but it’s also a sports bar hotspot that people go to during big football games. Third on my list is for all of you pizza lovers. Trio’s pizza is a New York style pizza parlor that offers great pizza along with various other Italian cuisines. Did I mention that students get a discount if they show up with their school ID’s? Last but not least is Jersey Mike's. This sizzling place offers the most popular Philly Cheese Steak, along with many other kinds of sandwiches. So make sure to check out this five fantastic fast food places for some delicious foods! Halloween is a very exciting time of the year for children of all ages, for the very simple reason that there is free candy all over the place! I pride myself on being a very well versed person when it comes to candy and I’m about to break down for yall my top 3 candies for Halloween. My number 1 candy for the season is “Candy Corn”. The infamous corn shaped/colored candy is a classic and favorite for many people. For me the sugar filled, imposter of corn is quite the treat for the young and the old. The number 2 spot goes the “M&M” brand and all of its many varieties. M&M’s are one of the most noticeable candies in the world in my opinion. They also have one of the best taste that I can think of. With more and more flavors being added each year, M&M’s are sure to remain on top. My last candy for the spooky season is “Dots”. Dots are a completely different type of candy, and that’s what makes them so appealing. The soft yet gummy candy is certainly one that I look forward to receiving every year. Although Halloween might be over, we can still all enjoy these lovely candies and more at extremely low prices thanks to the post-Halloween discounts! It;s time to get ready for Thanksgiving so pull out your nice china and the stretchy pants. ​Out with the old and in with Playoff Baseball! The 2017 MLB regular season was a great one to remember with amazing moments, stretching from Aaron Judge's historic rookie season and memorable greats like Cody Bellinger and let's not forget Giancarlo Stanton's 59 home run season. As sad as it is to say this, the season is officially over, but Baseball isn't finished. Coming into the 2017 MLB postseason was 2 wild card games. The American League game consisted of Aaron Judge and the New York Yankees vs Byron Buxton and the Minnesota Twins, on the other hand, the National league game was between Greinke and the Arizona Diamondbacks vs Nolan Arenado and the Colorado Rockies. The American League game was won by the Yankees who would later go on to face the Indians and move on to the ALCS winning 3-2. The Astros played the Red Sox in a best of 5 ALDS which ended with the Astros winning 3-1 and now looking to face the Yankees for an exciting ALCS. Transition to the national league, The Diamondbacks overtook the Rockies and moved up to face the Dodgers for a best of 5 which they got swept. The Cubs and Nationals who already had secured their spots for the NLDS faced off and the Cubs moved up winning Game 5. The ALCS is set to begin October 13th in Houston at 7:00 pm, while the NLCS game will take place one day later in Los Angeles at 7:00 pm. So far this postseason hasn't disappointed and it's only the begin stay tuned for more updates on Playoff Baseball. Good afternoon! This football season has taken a turn from just won the game to who kneeled. It has turned into a platform to express personal views and support the cause of standing up for the ones who have been treated unjustly. There have been many different opinions on this subject, some positive and some negative. Personally, I think that the professional football players are singing the platform for good. The point is to bring awareness to the injustices in America and show their views. It has certainly done just that. I don't think it disrespects the flag or veterans. Everyone has different opinions up that has been a booming topic in the NFL world. As as far as the standings go, unfortunately, the Cowboys are 2-3 with more losses than wins. This is my home team, so that's a bummer. Hopefully, they get it together quickly. The two teams that are doing well this season are 5-1 right now are the Philadelphia Eagles and the Kansas City Chiefs. The basketball season starts tonight! This is a sport that my teacher, Mr.Wood, will go more in-depth into when the season picks up. I watch it all the time, but I'm not an expert at the rules and regulations. I'm super excited to learn me indulged in it as the season starts. That's all folks! Who are the New Faces of the US Track and Field? As Time goes on The athletes we grow up to love just can't run like they used. A that lets the door open for the younger new talent to have a shot at their dreams, to make World Champs and even Olympic teams. Therefore (JAM)Usain Bolt has announced that he will retire, and after the 2017 World Champs, I feel like he should've retired after the 2016 Rio Olympics. He's an Icon in track and field and can never be replaced 9 Gold medals in 3 Olympics, Only person to have done the 3peat in the 100m. 19.19 in 200m, 9.58 in 100m and 36.84 in 4x100m, He's unmatched in accolades. ​After his spill with injury at the world games, hopefully, Justin Gatlin (AGE 35)(USA)retiring after finally beating Usain Bolt in 100m. Even Women don't seem to be slowing down with great runners like Natasha Hastings(AGE 31), Allyson Felix(AGE31). While who's next up you ask age, while let's go over it. Fred Kerley; From juco to Ncaa National Champion Fred Kerley has Real Talent, Specializing in the 400m with a personal record of 43.70 which makes him the 7th fastest person to ever run the 400m in the all-time list. Kerley in high school ran 22 secs in the 200m, which isn't crazy fast but isn't bad but after a couple years at South Plains Community College Which breeds a lot of undiscovered talent. He became the man With posting a 45.1 his first year at Texas A&M, He didn't make NCAA finals tho running 45.99 receiving the 13th place. Coming back next yr running the Fastest time ever record in NCAA running 44.85 at NCAA national indoor championships. Then When people thought he peaked he came right to the outdoor season breaking more NCAA national records in 400x4(2:59) and 400m(43.70). With the season being so long I didn't perform at that high of a level for that long, he won the USATF 400m to make the world team. By the World Champs the fatigue finally set and anybody knows running a season that long can be brutal especially the 400m. As a True Fan of Track and field athletics, I feel like this has true potential and will lead the US in the 400m going in future. The Former Vol and Maybe Future of USA 100m sprints? ​The reason I said maybe is that I have seen a lot of people come from the same situation. Crazy fast guy in 100m goes pro, I feel he's the next but go back last 4 NCAA national championships, I'll name at least 3 of the 4 Trayvon Bromwell who was supposed challenge Usain and Gatlin but hasn't really done that at all, unfortunately, he has been injured a lot and hasn't had full season of running. ​Next Andre De Grasse He has been closer than Bromell actually placing for a podium at the Rio Olympics and receiving a silver and Bronze. Why I said, Andre De Grasse, because you would say he has had a pretty Good career, while people we can't compromise when you compare him to Usain Bolt and other legends. last year was terrible for him, nothing can help him, hopefully, he does better this so I can write a blog saying I'm sorry but for now I keep spitting the truth. Like I said I feel Christian Coleman is the man for me but looking at what the guys before him this is looking like the Heisman in football. I'm not gonna lie this is one of my wcw's) but dang is she fast. She's next up in my honest opinion dropping stupid legit times, could've broken the NCAA national record in 200m but fell and the girl from Florida who didn't pr in 2 years but broke it kinda bizarre but in track, anything can happen. Stevens ran the 100m and 200m but I feel her strength is the 200m. making the Rio Olympics and World Champs she's youngest and next up behind her older counterparts Tori Bowie, Allyson Felix. The Houston Astros are headed to the World Series for only the second time in franchise history. The Astros powered their way to the playoffs, going 101-61 during regular season play, taking their division with ease. In the first round of the playoffs, Houston soared over the Red Sox, only needing 4 games to put them away. Following the Division Series, they took on the Yankees in the ALCS. That series ended up taking a bit longer than the previous, as it went to a decisive game 7. 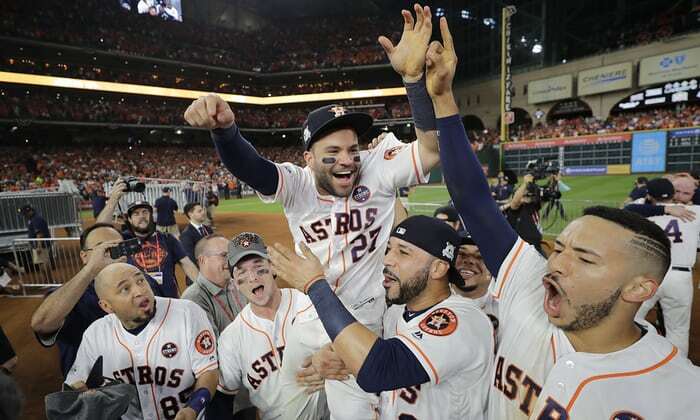 Evan Gattis and Jose Altuve provided the run support, while Charlie Morton and Lance McCullers combined for 9 innings of shutout baseball, advancing the Astros to the World Series. Houston will face off against the Dodgers in this year’s fall classic; a matchup baseball fans have been anticipating heavily. Los Angeles is lead by their ace, Clayton Kershaw, along with other proven veterans such as Yu Darvish, Rich Hill, and Kenley Jansen. Not only is their pitching good, but their offense as well. Justin Turner, Yasiel Puig, Cody Bellinger, and Corey Seager are all guys Astros pitching will have to worry about. ​In the fast food industry, Chick-Fil-A has built its own empire. Many call it the best fast food chain, but how did this company become this successful? There’s no conspiracy behind it, their secret lies in their condiments. Specifically, their Pure Clover Honey. Pure Clover Honey is a free condiment offered at all Chick-Fil-A locations. The only ingredient this bad boy needs is US Grade A Clover Honey. It doesn’t need any artificial ingredients to have the magnificent taste that every packet contains. Many members of our staff here at 99.9 The Wild have wonderful things to say about it. Brian Baran, a senior at Summit High School, said that “They should change the name from pure clover honey to pure heaven.” Joshua Wright, a junior at Frontier High School, described the honey as “nectar of the gods.” The next time you stop at Chick-Fil-A to get one of their world-renowned chicken sandwiches, pick up some delicious Pure Clover Honey packets. One taste of it, and you’ll know exactly why Chick-Fil-A has reached the point it has. The NBA season has just kicked off, and what's a better time to predict how it's going to end than now. Let's jump right in. ​ Sure the warriors are 0-1, blah blah blah, bottom line is, they're still going to win the western conference and make it to the Finals with ease, and even though the Cavs lost Kyrie, they still added, Isaiah Thomas, Jae Crowder, DWade, and with Gordon Hayward possibly out for the season, the East is a cakewalk for LeBron. The Cavs will lose to the Warriors in 7 (because of how freaking good this warriors team is), and I will probably cry again, just like last year. But that's the easy prediction, let's get into the awards DPOY will be Draymond Green if he can stay healthy, as Rudy Gobert and Kawhi Leonard will be asked to help their teams more of the offensive side, sacrificing their defensive numbers. Do-It-All-Draymond will be the easiest pick out of all the awards. Most Improved will (HOPEFULLY) go to D'Angelo Russell. D'Angelo will have his own team following the trade to Brooklyn and will out of the laker spotlight. Expect his numbers to go up big time with an increase in minutes, and he is (literally) the only player on that team worth anything right now. D"Angelo will finally get to shine and I'm nothing but happy about it. Here's where I get hopeful. 6th Man of the Year will go to none other than J.R. Smith. J.R. is everything fun about basketball. I think everyone on the planet gets excited when J.R. Swish bangs in a contested 3 point, right in the face of his defender. Let's hope and pray to the basketball gods that J.R. can come off of the Cavaliers bench with a fiery vengeance showing that he deserves more than to be benched for DWade. Rookie of the Year:Lonzo Ball. Ben Simmons. Dennis Smith Jr. Jayson Tatum. Markelle Fultz. That night, social media flooded with post in support of the victims, such as tweets that simply read Manchester with a heart emoji, or a picture of the breast cancer symbol wearing Ariana’s symbolic cat ears. Ariana was reported physically okay, but not all her fans where. Parents of the concert goers were separated from their kids in the aftermath, not knowing if their children were dead or alive. In some cases, they didn’t reunite until days later. Nearby homeowners and services, like hotels and cab companies offered free shelter and transportation to those in need. Soon after, investigations were made and the British policemen arrested men, confidently calling them “key players” and treating the crime as a terrorist attack (telegraph.co.uk). The country’s threat level briefly raised to critical, but went back to severe after 5,000 soldiers arrived for maximum security. After taking a few days to assess the situation, Ariana and her team decided to continue the Dangerous Woman Tour after a two show suspension. She’s scheduled to perform this Sunday alongside Miley Cyrus, Pharrell, Usher, and many others to raise money for the grieving families with the We Love Manchester emergency fund. Tickets for this star studded concert sold out in 6 minutes, free to everyone who attended her most recent Manchester concert. ​The 2017 MLB regular season was a fantastic season. Memorable greats like Cody Bellinger as well as let's do not forget Giancarlo Stanton's 59 home run season. As sad as it is to say this, the season is officially over, but Baseball isn't finished. Coming into the 2017 MLB postseason was 2 wild card games. Aaron Judge and the New York Yankees vs Byron Buxton and the Minnesota Twins, on the other side the National league game was between Greinke and the Arizona Diamondbacks vs Nolan Arenado and the Colorado Rockies. 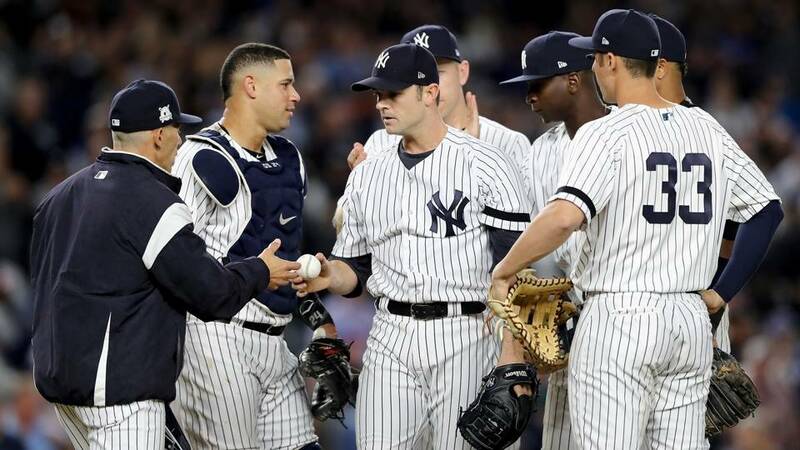 The American League game was won by the Yankees who would later go on to face the Indians and move on to the ALCS winning 3-2. The Astros played the Red Sox in a best of 5 ALDS which ended with the Astros winning 3-1 and now looking to face the Yankees for an exciting ALCS. Transition to the national league, The Diamondbacks over took the Rockies and moved up to face the Dodgers for a best of 5 which they got swept. The Cubs and Nationals who already had secured their spots for the NLDS faced off and the Cubs moved up winning Game 5. The ALCS is set to begin October 13th in Houston at 7:00 pm, while the NLCS game will take place one day later in Los Angeles at 7:00 pm. The season has been a great one and just wait for more good things to come. After a historic 16-17 year for misd, legacy continued a stretch of football success, reaching the quarter finals. They beat cleburne, dallas spruce, frisco wakeland, loss to highland park 14-7, eventual state champion. Led by senior quarter back, Kendall Catalon and his sophomore brother Jaylon, Legacy finished 11 and 3 overall and 6 and 1 in district. Kendall won 10 5a district mvp, and jaylon won defensive mvp, and was voted as the top defensive player in the state. Legacy beat all three mansfield schools in their district. 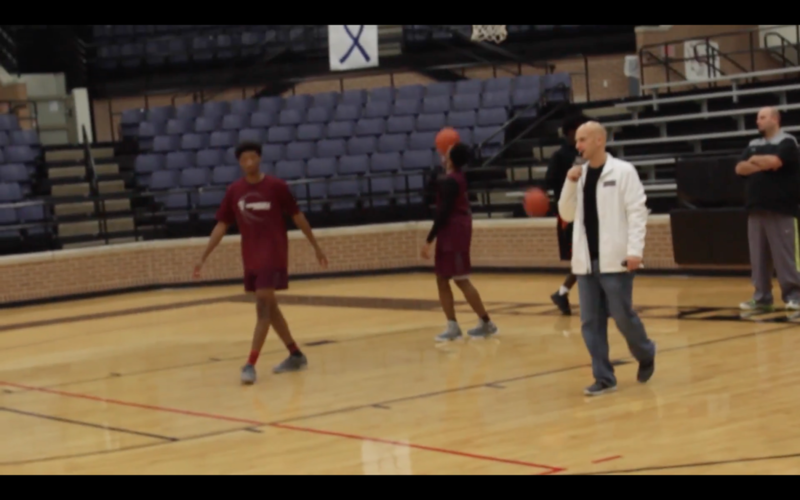 Coach Melson’s team went deeper in the playoffs than any other Mansfield team. 3 MISD Swimmers Medal at UIL swimming!!! At the State UIL meet in early February, , three MISD swimmers took home medals in 4 different events. Haley Yelle, an Olympic trials qualifier and senior at Legacy High School, earned silver medals in the girls 200 and 500 meter freestyles. Jeff Jameson, also a senior at Legacy, scored a bronze in the boys 500 meter freestyle, while Lake Ridge’s junior, Hunter Jaynes, earned a bronze in the boys 1 meter diving event. On February 1st, over 80 MISD athletes participated in National Signing Day at the PAC. Top recruits include Timberview’s Chennedy Carter, who averaged 20 points per game, leading her team to the state finals. Carter was also nominated as a Mcdonalds All American, and was ranked a top 5 player in the country by ESPN Recruiting. She will be playing Basketball for Texas A&M. In football, Mansfield defensive back and wide receiver Saiid Adebo will be playing football for Stanford University. Adebo had 25 catches for almost 500 yards and 2 touchdowns, helping Mansfield win its 2nd district title. His teammate Kennedy Brooks will be playing football for Oklahoma University. He was a 2 time winner of the Landry Award, given to the top player in the Metroplex. Brooks led the state in rushing with over 2800 yards and 40 touchdowns. Lake Ridge’s corner Bryson Jackson will be playing football for Baylor, while his teammate Lauren Mondy will be heading to Arizona State to play linebacker. Also from Lake Ridge, Mike Adewunmi will be playing basketball for the University of Houston. He was all district 14-5A. Lastly, Legacy’s Haley Yelle will be swimming for Texas A&M She was an Olympic trials Qualifier this year, and won 2 silver medals at UIL State swimming in the 200 and 500 meter freestyle. At the State track and field Meet in early May, Gold medals were earned by Legacy’s Ja’Leesa Giles in both the 100 and 200 meter dash, Lake Ridge’s Faith Ette in shot put and Jasmine Moore in both the triple jump and long jump. Valencia Bullock followed her fellow eagle teammate with a silver in the triple jump. Silver medals were also earned by Ariel Ford for the 400 meter dash, Kelly Rowe for the 100 meter dash, and a 4x100 relay from Valencia, Ariel, Kelly, and Jasmine Moore, all from Lake Ridge. 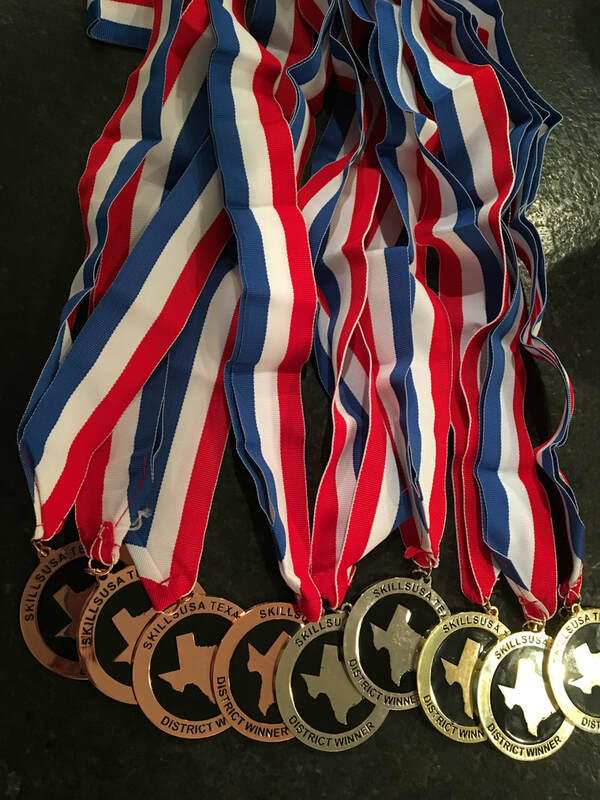 At the state meet, altogether MISD won 14 medals. The NBA is officially well underway, and Russell Westbrook and James Harden have put up unprecedented numbers over the last forty games. Russell Westbrook is averaging unheard of numbers since Oscar Robertson averaging: 30.7 points, 10.5 rebounds and 10.3 assists. Westbrook has done this up until midway of the season but he is not the only one separating himself from the rest of the NBA, former teammate James Harden is slightly behind him averaging 28.4 points, 8.2 rebounds and 11.7 assists. These two have made it fun to watch the NBA fun again on any platform. With a Minimum of four games left in the season, there will be only one champion to take home the Commissioner's Trophy. And by looking back on last night’s game, it seems like the dodgers are on their way to winning it all. The Dodgers won their first world series game since 1988 and now have a 1-0 series lead with successful performances from Clayton Kershaw, Chris Taylor, Justin Turner, and Kenley Jansen closing the door for The Astros to win, 3-1. Keuchel's first career World Series pitch resulted in a home run. Chris Taylor gave the Dodgers a very quick 1-0 lead with a long home run to left field on Keuchel's first pitch of Game 1. The ball landed more than halfway up the bleachers. Justin Turner shot the score up launching a two-out, two-run homer off Dallas Keuchel to give the Dodgers a 3-1 lead in the bottom of the sixth. Turner has four home runs and 12 RBIs this October. The blast was Turner's third highest on a homer this year. Clayton Kershaw made history in his career in the sixth inning of the game. His 10th and 11th strikeouts of the night made him the first Dodgers pitcher to have double-digit strikeouts in a World Series game since 1965. He also became the first pitcher to have double-digit strikeouts in a World Series game since Adam Wainwright in 2013. The Dodgers gave the ball to Brandon Murrow after Kershaw pitching seven innings of one-run ball recorded strikeouts. He pitched a perfect eighth and Kenley Jansen, the Dodgers’ closer, came on for the ninth and got things started by catching George Springer looking at a 92 mile-per-hour cutter for strike three. Alex Bregman, who had provided Houston’s only run of the game, lew out to center after a hard-fought eight-pitch at-bat. Jansen officially closed Houston out by retiring Jose Altuve on a fly ball to right. Overall the Dodgers are showing the Astors they want the winning title. If they continue to Play like this and hold Houston from scoring, I'm certain they will win the world series. The Dodgers will take on The Astros for game 2 of the World Series in Los Angeles tonight at 7:00. Last Saturday, January 21st, 2017, will go down in American history as the day of one of the largest, worldwide protests ever with over 5 million global participants (womensmarch.com). Men and women united in each of our 50 states, as well as cities abroad such as Berlin and Amsterdam to stand up for love, equality, and overall American values. The long term purpose for this protest was to protect and secure American entitlements that could be in jeopardy. Even after Trump’s inauguration, the people remain unsilenced and demand justice in all aspects. Though the intended outcome of these rallies may never happen. What were they trying to accomplish??? Marchers explicitly expressed disgust towards President Trump’s past actions reflecting racism and sexism. He’s threatened laws protecting women’s and reproductive rights, marriage equality, health care, and many more. All of which protesters plan to maintain. According to Ai-jen Poo, Director of National Workers Alliance, all 50 states were intended to come together to pinpoint issues and prepare for the 2018 midterm election. These issues were also identified by David Brock, a democratic activist who assembled a group of liberal donors to discuss possible lawsuits and challenges against President Trump. Other important names included Madonna, Janelle Monae, and America Ferrera, all of which gave speeches in support of women’s rights. Zendaya, Bella Thorne, and Rowan Blanchard were also spotted supporting the cause. This rally was successful in the aspect of attracting a diverse, younger generation and the new democratic majority, to something other than pop culture and modern technology. Well known influencers’ participation was admirable, showing youth that their opinions matter, despite what it does or doesn’t get done. Though these women may not accomplish anything politically, they’ve drawn attention to undisscussed topics we all relate to in some way. Like Trump says, the people now run America. 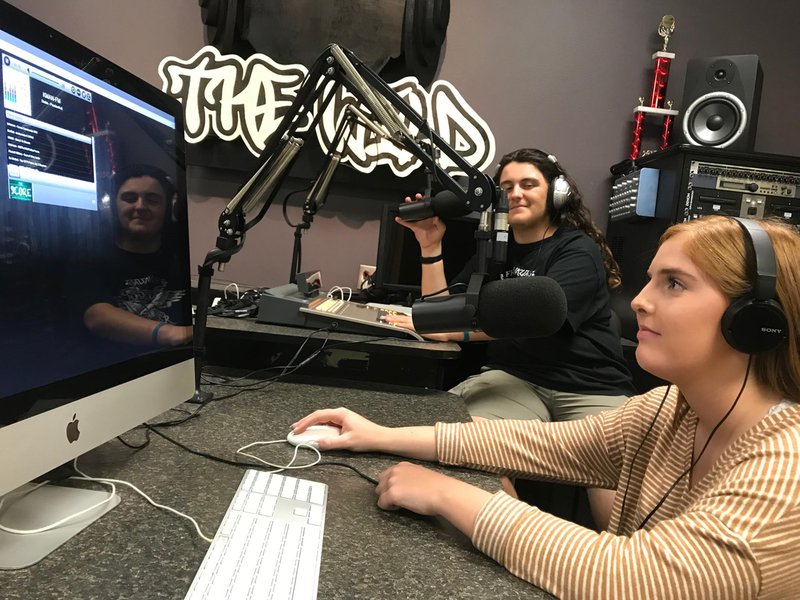 Radio 1, Radio 2, and Sports Broadcasting students had the opportunity to broadcast the Summit against Lake Ridge Showdown earlier in the season. The Eagles won the game 55-35 and finished the season undefeated. The same students will be broadcasting intra district basketball games this winter and spring. Catch up on all the information on our twitter account 999thewild and 999thescore. If you haven’t heard today, ESPN informed employees that they would be laying off 100 on-air staff members. This also occurred previously in 2011 and it was reported in 2015 they were going to terminate 200-300 employees due to Disney’s decline. ESPN, the “worldwide leader in sports” is headed under water. The company has significantly taken a hit on TV ratings this year which are down 16% from last year. They took out most local sports writers and on air personalities, notable ones are Ed Werder and Jayson Stark. Anyone who follows football knows that Ed Werder has holes in the ground at the Dallas Cowboys practice facilities and just about anything to do with the Cowboys. Stark on the other hand has consistently provided viewers and readers with legit baseball information and updates for 17 years. This isn’t ESPN going with a “out with the old, in with the new” project, they know their business is going under. They will pay $8 BILLION in programming cost in 2017... $8 BILLION. The ESPN subscribers and viewers are decreasing daily, it’s proven. The termination of Grantland was a huge hit, and since Bill Simmons left it hasn’t been the same.. Can you believe they were willing to pay millions for Skip Bayless last year? And today they are stuck trying to keep their company’s head over water. With Stephen A. Smith, Michael Smith, Jemele Hill, Bomani Jones and Michelle Beadle. First Take has been a disaster, why would I listen to Stephen A. scream for 2 hours? Who actually thought SC6 was a great idea? That person needs to be fired. SportsNation is.. I don’t even know what it is. And Highly Questionable has me questioning what is sports entertainment anymore. By 2021 ESPN will be losing money at the rate their subscribers are leaving, they aren’t leaving in the hundreds, it’s the thousands and matter of fact 10,000 subscribers left ESPN today. There’s no saving ESPN, they can’t save theirself. I grew up loving ESPN every morning as many of you did, but it is time for us to move on from this network, politics and sports don’t go together. ESPN is now being threatened by upcoming sports networks including Fox, NBC and CBS who actually broadcast important sporting events: The World Series, Super Bowl, Sunday Night Football, The Master, and big Olympic events. My thoughts will be with every ESPN employee that got laid off today, it’s a huge change but they are all extremely talented so we will be seeing them again soon.